BelOMO neck lanyard is compatible with all folding BelOMO loupes. Lanyard helps keep on hand your loupe and detaches it from strap easily if it's needed. 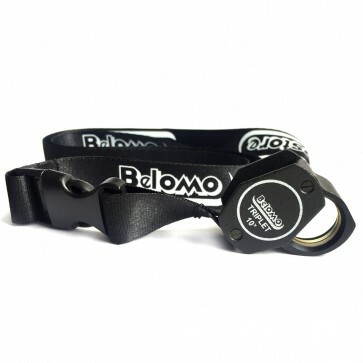 BelOMO Logo Lanyard designed specially for folding BelOMO loupes. It's easy to install and use with 8x, 10x, 12x, 15x or 20x magnifier.